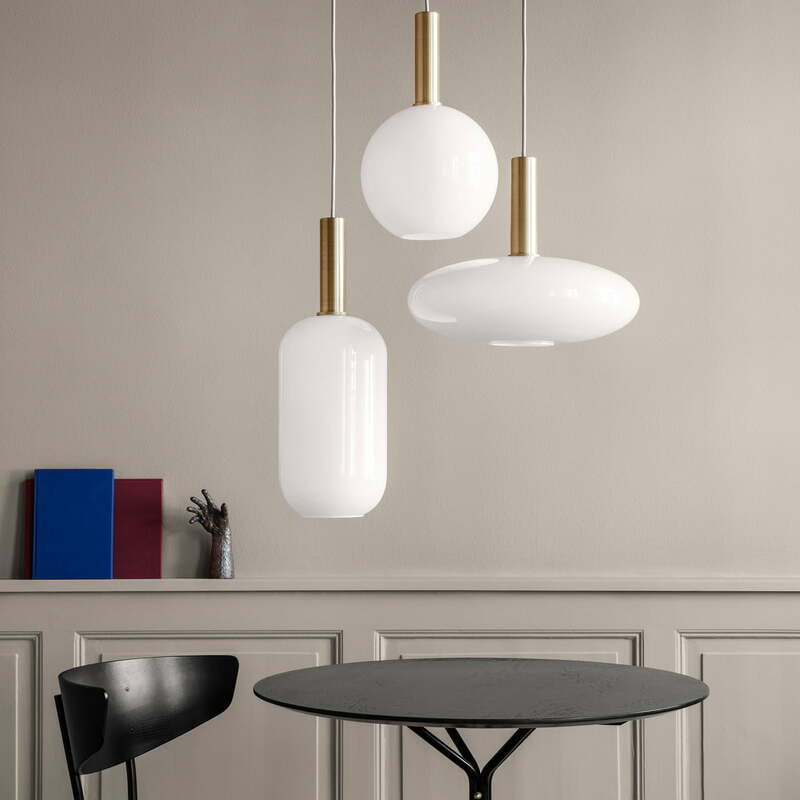 The elegant Opal lampshades are part of the light collection by ferm living and consist of three simple shapes that visually and atmospherically enhance any interior. The high-quality opal glass with a glossy finish provides a diffused light output, which gives the entire room a pleasant mood. The lampshades are available in three different shapes which can be wonderfully combined thanks to their harmonious silhouettes. The Opal lampshades can be arranged in a row or a cluster above the dining table or in the hallway as well as alone. In any case, they will be real highlights in any room. The Opal lampshades can easily be hung from the ceiling thanks to the Socket Pendant Lamp, also from the Light Collection. The shade can be paired with the base, so that a lamp can be designed according to your personal taste. The lampshades are available in the versions: Sphere, Tall and Ellipse. Isolated product image of the ferm Living - Opal Sphere lampshade. The round shape fits perfectly into any environment and ensures an elegant appearance. The ferm living - Opal Lampshade, Decorative Sphere next to the Sofa. Lifestyle product image of the ferm Living - Opal Sphere lampshade. The high-quality opal glass with a glossy finish provides a diffused light output, which gives the entire room a pleasant mood. 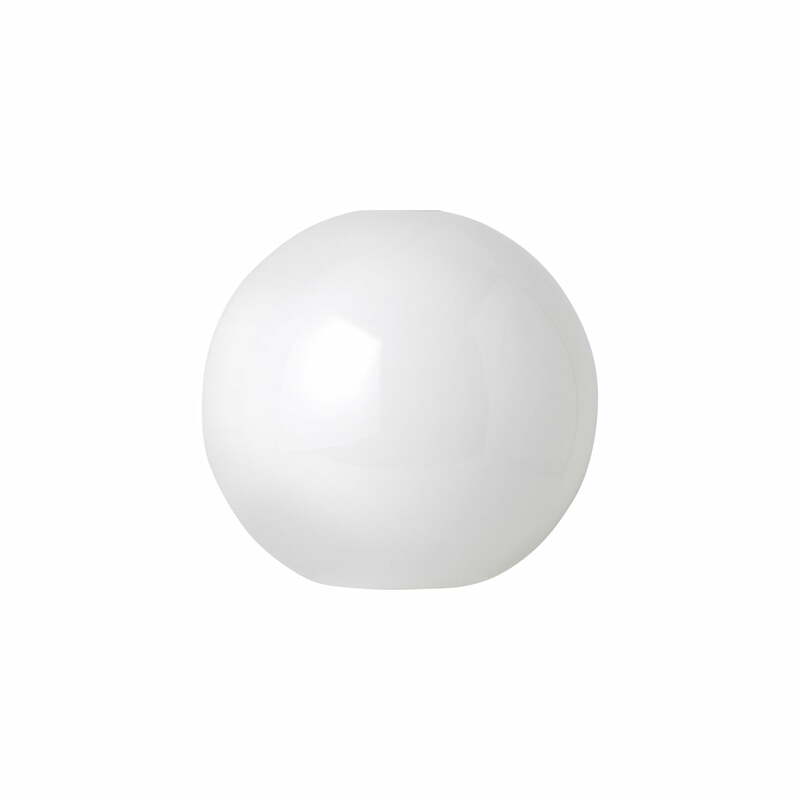 Isolated product image of the ferm Living - Opal Sphere lampshade. The elegant shape combined with the simple base fits perfectly into any environment. The ferm Living - Opal Lampshade Sphere, Ellipse, and Tall Combined. 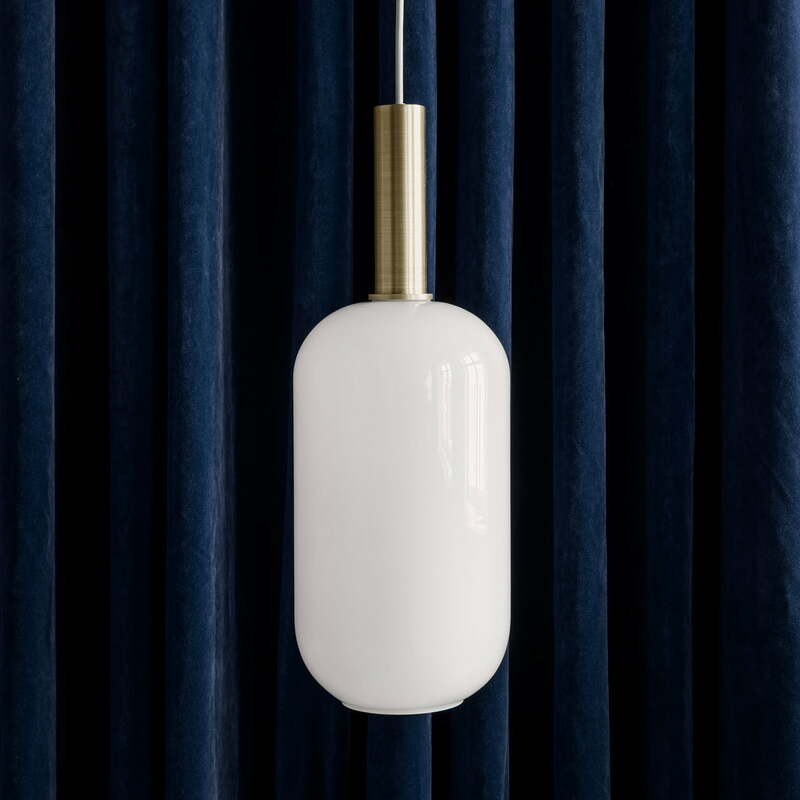 Lifestyle product image of the ferm Living - Opal Sphere lampshade. The lampshades are available in three different shapes which can be wonderfully combined thanks to their harmonious silhouettes. Lifestyle product image of the ferm Living - Opal Sphere lampshades. 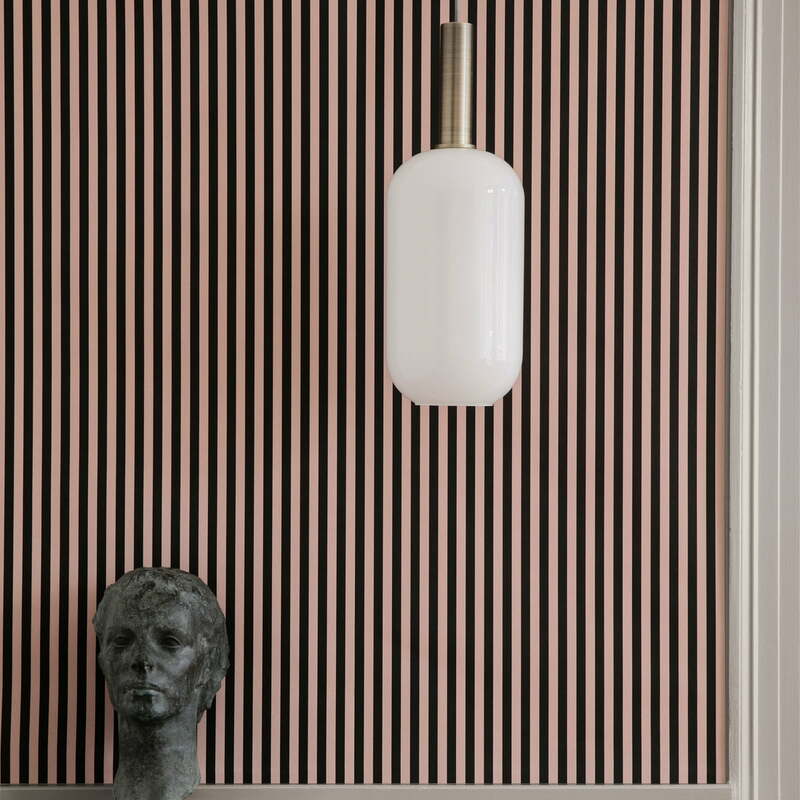 The elegant design of the lampshade fits into both classic and modern environments.